Sorry for the late post, but there is a reason. 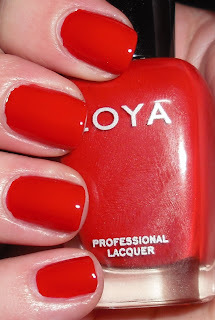 I received my promo order from Zoya today, and since the promo is ending tomorrow I wanted to make sure to share with you my swatches for those of who still may be debating on what to get! Sooki is a bright cherry creme. Areej is a light-medium berry fuchsia creme. Mira is a medium slightly muted royal purple. 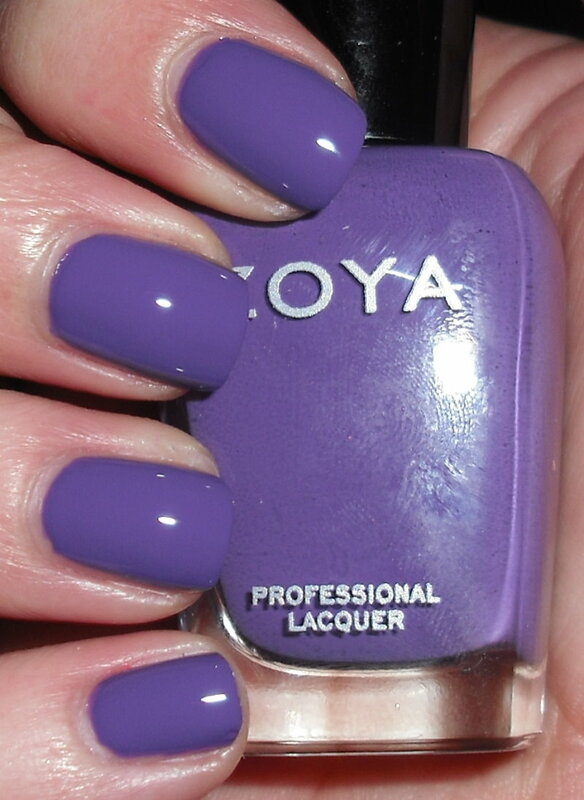 This reminds me of a lighter version of China Glaze Grape Pop. Breezi is a slightly muted cerulean blue. Kieko is a medium red-toned grape creme. Tamsen is a medium red-orange creme. This reminds me of the color of red coral you see in some jewelry. Sooki and Tamsen are definitely not dupes! That's the Summertime collection for you! Personally, I think with cremes you definitely run the risk of finding dupes to colors easily. I can't think of any dupes off hand to any of these colors, and I'm happy I have them all. That's not to say some of you may not have similar colors in your stash. I do think that out of these I really find Tamsen, Areej, and Kieko the unique to me as far as what is in my personal collection. I really do love all of these, and on top of being great colors the formula is an A+! What I also love is these are not your typical neon and bright summer colors. These are vibrant colors, but they have a slight muted quality to them. I know that sounds contradictory, but they make a statement without being out of control. I'll have the Sunshine collection for you tomorrow! I think I like the glitter collection a bit more. but of course I am attracted to Breezi, blues always get me! Great swatches! The first photo you posted of all the colors lined up is just gorgeous, too. So pretty! Makes me want to buy them! 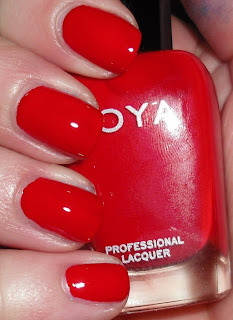 For the Zoya promo I got some from the other 2 collections, tho. and your swatches are so wonderful..that's all imma say. but they look really pretty, i think I need sookie! Lovely swatches. 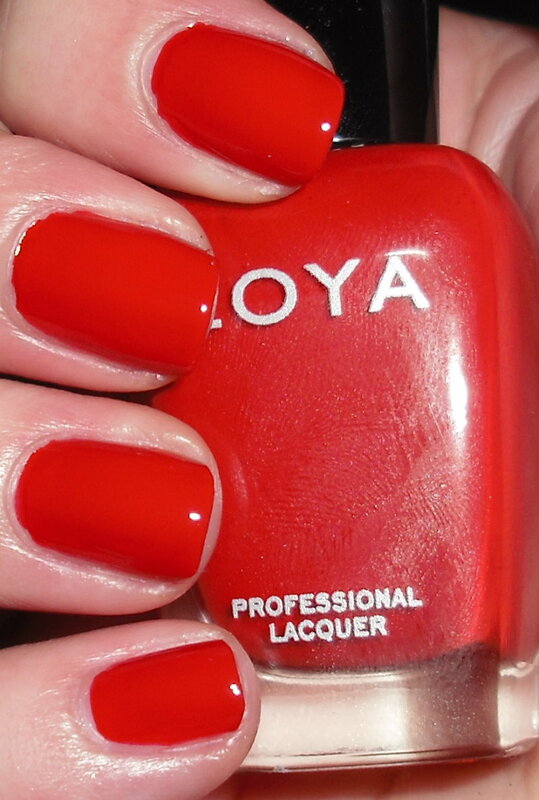 I'm so thankful that Zoya offered their special promo of bogo. I can't wait for mine to arrive as they are supposed to ship today. Yay! The formula on all these is amazing. Your swatches are beautiful. The Sunshine collection really blows this one away but there are some gems here as well. Your swatches are making me wish I ordered Areej...I only got Kieko and Breezi. Oooh, these all look so pretty! I am loving Areej!